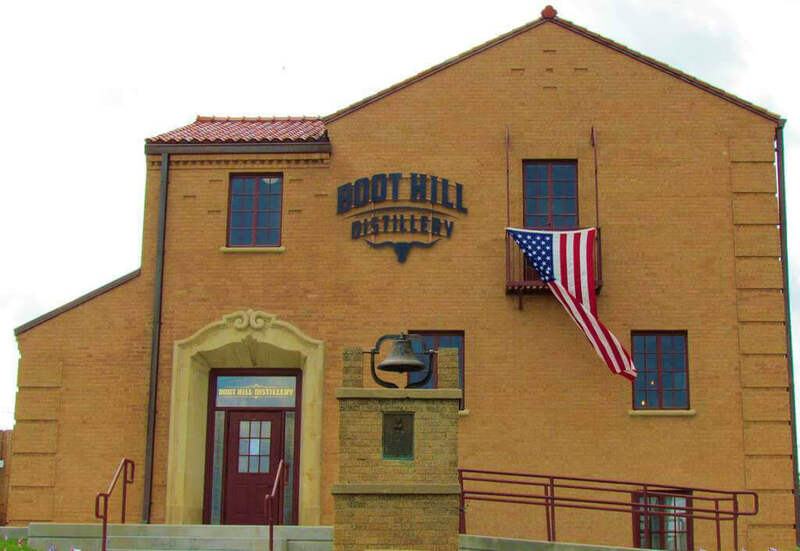 The exciting and unique story of early Dodge City is on that is intriguing & carried throughout Boot Hill Distillery. The area’s history dates back to the Native Americans who thrived off the land and the buffalo. 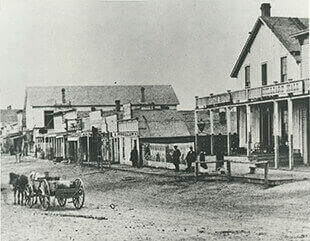 The arrival of the U. S. Army prompted the building of Fort Dodge and soon to follow was the establishment of a rough and rowdy cattle town known as Dodge City. Law and order was soon recognized and Dodge City became a civilized frontier town and a center of commerce on the prairie. Wondering what makes Boot Hill a cut above the rest? well, for starters the Distillery sits on the original site of the Boot Hill cemetery. The cemetery was relocated in 1878 & a new structure was built in its place in 1929. The building went through multiple occupants such as City Hall, a municipal courtroom, judge’s chambers, a jail, fire department and a police department. Finally, after renovations in 2014 Boot Hill Distillery officially moved in & opened their doors in the summer of 2016. 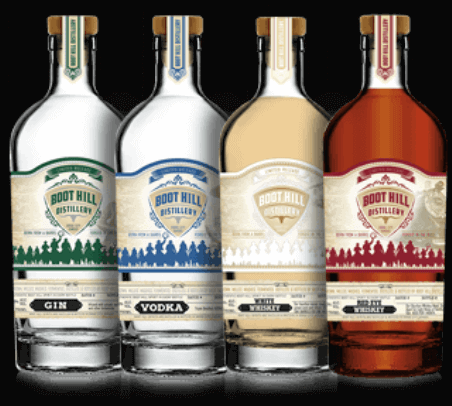 Boot Hill Distillery is Proud to be carrying on the legacy of their great town. 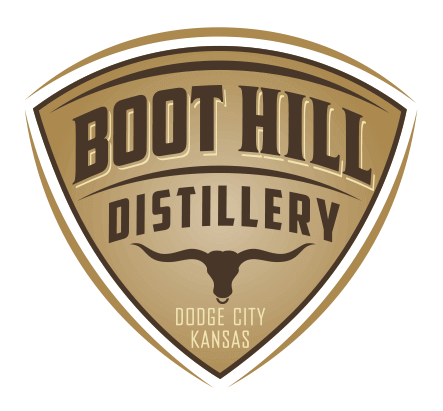 Boot Hill Distillery is owned by Roger and Hayes Kelman of Sublette, Kan. and Chris Holovach of Scott City, Kan. These three farmers produce every single grain that Boot Hill Distillery uses to craft our world-class spirits. The staff at Boot Hill is committed to their "From soil to sip" philosophy, otherwise meaning that the staff has total control of the brewing process from the time the seed is planted to the second you poor it into your glass. This is Boot Hills way of showcasing their world-class spirits & ensuring customer satisfaction. Each of their spirits is distilled in 500 gallon batches, carefully crafted from growth --> harvest --> milling --> mashing --> fermentation --> distilling --> bottling. Boot Hill also utilizes a custom-crafted pot still/two column setup to ensure that every spirit is crafted for maximum drinkability, while still being a wholly unique product of Dodge City. Nose: Prominent notes of sweet butterscotch with a delicate floral finish. Neat: Bright wood on the front end with tons of vanilla and an unexpected spiciness. A beautiful blend of sweet and spice. On the Rocks: Sweet grain, powerful vanilla, and soft oak across the back end. Nose: Earthiness with hints of root vegetables. Heavy pine and cooling menthol round out the end. Neat: Sweet sugar right up front followed by a powerful wallop of bitterness. Complex hints of mint and citrus dominate the center, followed by a slight numbing sensation across the tongue. On the Rocks: The addition of ice makes the Prickly Ash Bitters significantly brighter, and softens the intense hit of bitterness, forcing it to take a back seat to the complex notes of the other botanicals. In a constant pursuit of perfection, there are always a number of experimental batches at any given time on top of Booze Hill. Where can I buy Boot Hill spirits?